2 ATV/UTV Tires 25x10-12 25x10x12 Rear 6PR by MILLION PARTS at Daily News Miami. MPN: MP-Wheel-0011. Hurry! Limited time offer. Offer valid only while supplies last. Specifications: 1. Type: Rear Tires 2. Ply Rating: 6 Ply Rated 3. Tread Depth(in): 0.62 4. Rim Width: 8'' 5. Sidewall: 8'' 6. Diameter: 25'' 7. 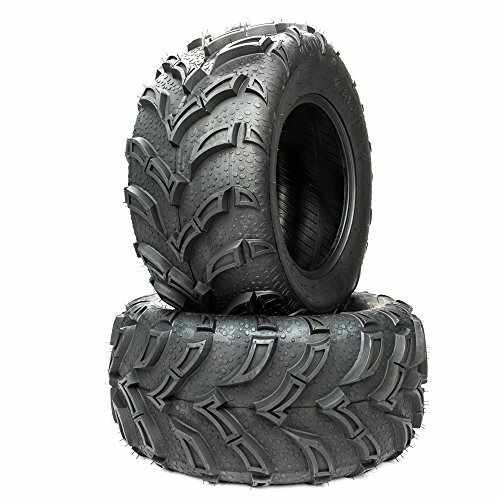 Fit for ATV, Go Karts, Quads Fit for Trail,Mud, Dirt, Gravel, Rocks, Medium to Hard packed terrains.